Presbytery pastors should never, ever play favorites. Meh. Forget all that. These ladies right here, these are hands down my ecclesiastical favorites. 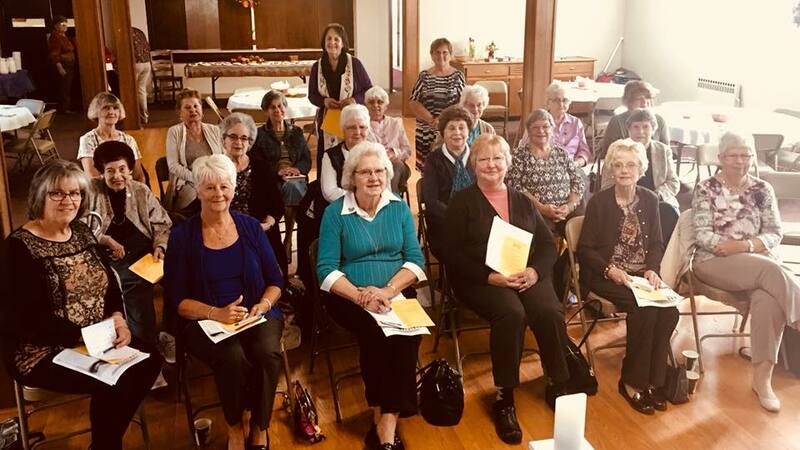 Shenango-wide fall Presbyterian Women mission gathering. No less than six critical mission updates about Jesus' work all around the world, stuffed into one morning's gathering. And not a peep about themselves or their troubles. Now, go ahead. Make your observations about numbers, age, decline, etc. Hashtag your mainline. Wring your hands. I know. I get it. I live it. We can always do better. But these gals right here ... FIERCE. Don't count them out just yet. They educate themselves about the deep brokenness of the world — like safe houses for girls in parts of the planet where taboo and biology equals homelessness and no more school. This crew gives sacrificially of their time and treasure to said work, as they likewise cheerlead those Jesus followers who are out on the front lines of a new day for those who need it most. You can keep your crowd-sourced trends; you can chuckle as we fumble with our technology — all thumbs. But I'm telling you, saints, these girls are the spiritual DNA of the 7,000 Presbyterians I get to serve. Our mission Mothers.